I'm not new to Sous Vide. I was given a different brand immersion cooker some time ago. It worked well enough, but recently gave up the ghost. My wife gave me a Wi-Fi Precision Cooker for Christmas. I modified an old five gallon water cooler for my bath. Right now, a small (2.75 lb.) chuck roast is cold smoking in my smoker. 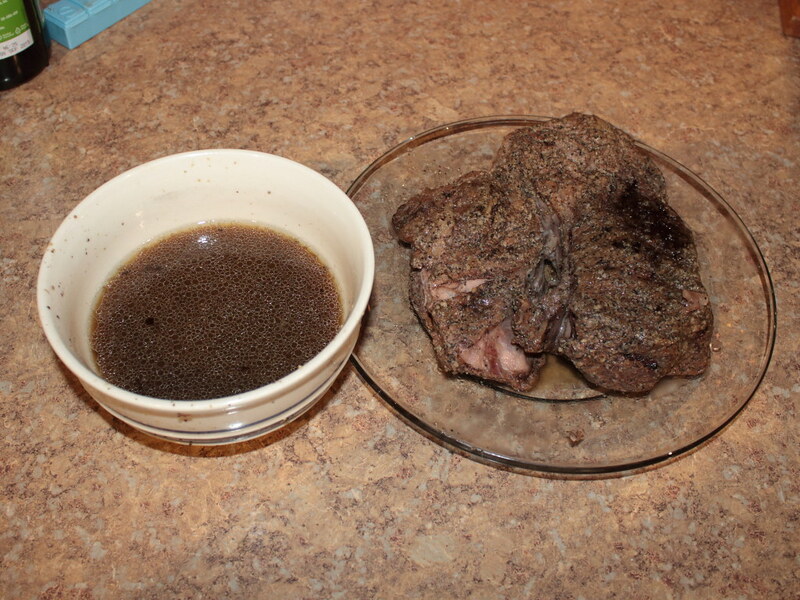 After it's smoked for about an hour, I'll vacuum pack it and put it in the bath at 160 F for 24 hours. I'll post pics as I have them. I'm using the method for pulled beef from Douglas Baldwin's site, with the addition of smoke. Well don't keep us in suspense Dan! Pull that thing and post the pic! Check the pics above your post. Started with a 2.75 lb. 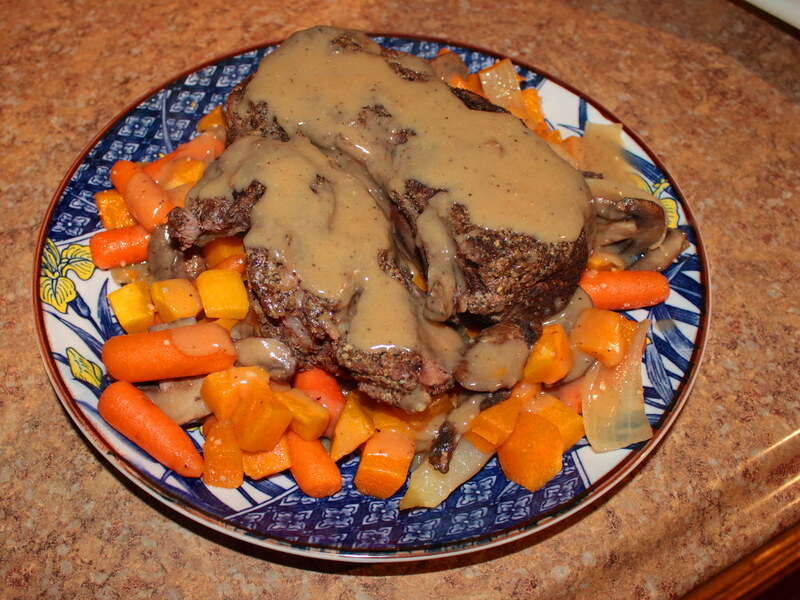 chuck roast. Rubbed it in a mix from the Spice House called Florida Pepper as well as some coarse kosher salt. Cold smoked it for one hour with apple smoke. 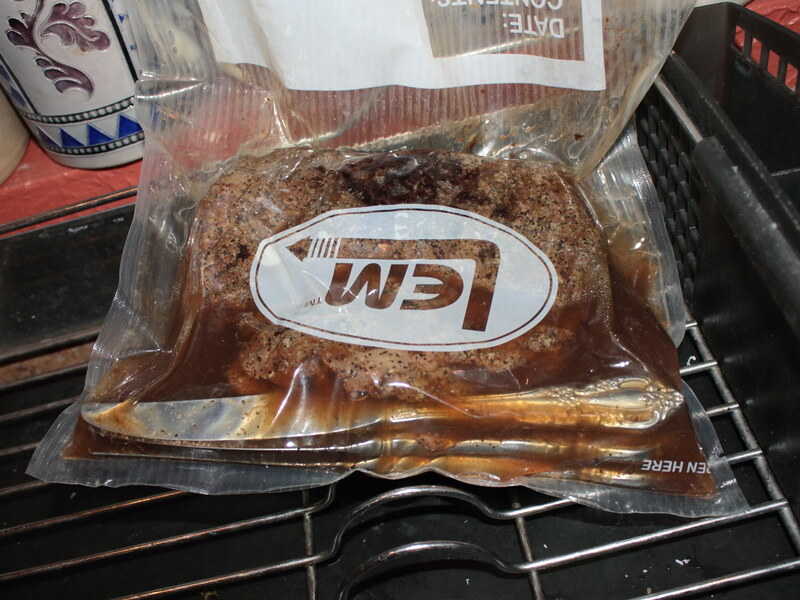 Vacuum packed it and put it into a 160F water bath courtesy of the new Anova Precision Cooker my wife gave me. 24 hours later, pulled it, drained off the juice for gravy. Best pot roast I have ever had. Looks very healthy! Great job. My mother made it in a pot with cream of mushroom soup on top and vegetables. We loved it and I'm sure your recipe is way more gourmet. Great job! Wait, what? I thot that smoking IS a cooking process. I buy smoked kielbasa from the Polish butcher and it's marked as fully cooked. Please let us know what happens after you've double-cooked that meat. Z. wait, you're jumping to concussions. Cold-smoking is a flavouring technique at below conventional cooking temperatures. It might help to think of what Huh does as not so much as a double-cook but a reversed post-cook sear for flavour and colour. Your butcher smokes, and likely also steams, his Kielbasa to the fully cooked stage for enhanced preservation. chatnoir is correct. If you produce smoke with no heat, you are not cooking. You are flavoring. The trick is to be very careful how you do it, lest you produce some of those awful bugs that make people very sick. The temp of the inside of your smoker has to stay very low (sub-40F), or you have to strictly limit your smoking time and get the food cooled off quickly.